Carriage Driving is the only monthly magazine dedicated entirely to sport and recreation with the harness horse. 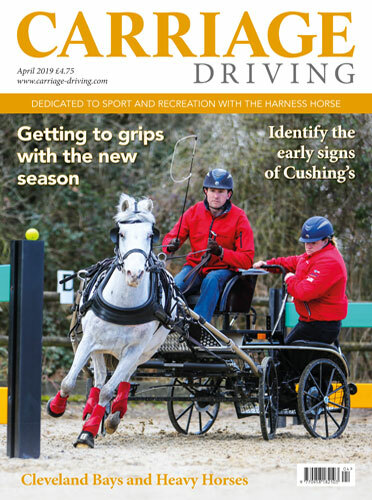 It is a must read publication for all carriage driving enthusiasts, covering all aspects of recreational and competitive driving, including private driving, light trade, coaching, show Hackneys, scurry driving and horse driving trials. 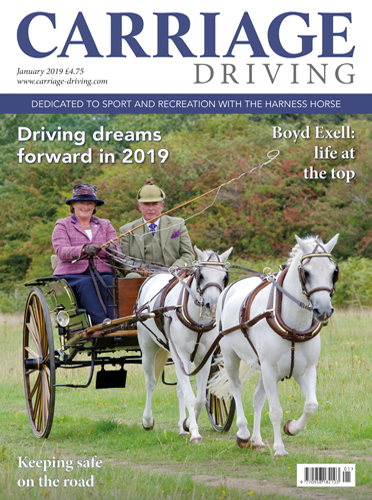 Published every month, every issue of the magazine highlights all the latest driving news, views, show and competition coverage, together with regular features, such as: Driver Profiles, Coaching Chatter, news from around the world and reports from all the major carriage driving organisations. 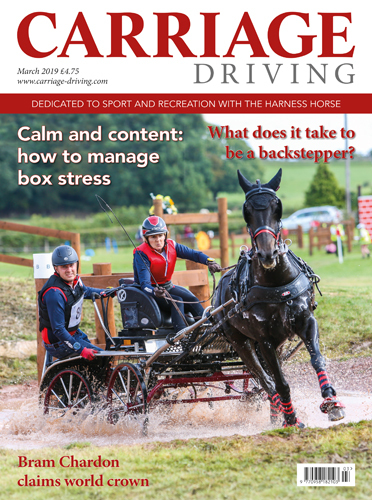 We also cover veterinary, welfare and legal matters – containing essential advice; Training – with tips to help you enhance your driving skills; and Junior Spotlight – for young drivers. In addition, the magazine's trade and services section is the best place to buy and sell your driving horses, harnesses and carriages, as well as advertise all your other carriage driving essentials. 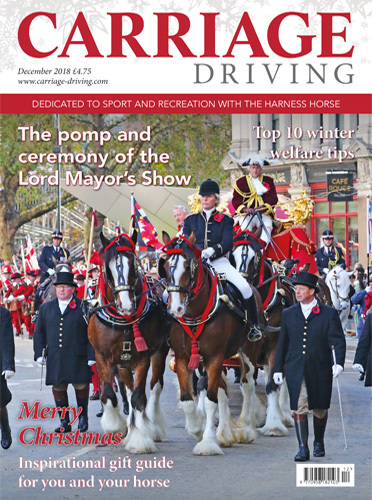 Carriage Driving magazine is available in the UK and abroad either through subscription or from your newsagent or local trade outlet. All UK subscribers receive a free Carriage Driving calendar with their December issue, which includes all those important driving dates, providing an invaluable source of information together with some stunning photography. 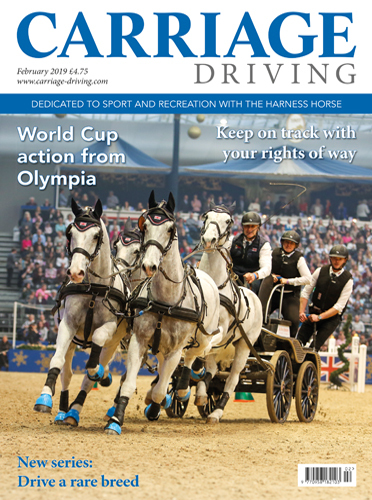 To ensure you don't miss out on anything going on in this exciting and growing equestrian activity SUBSCRIBE to Carriage Driving today and get every issue delivered directly to your door!